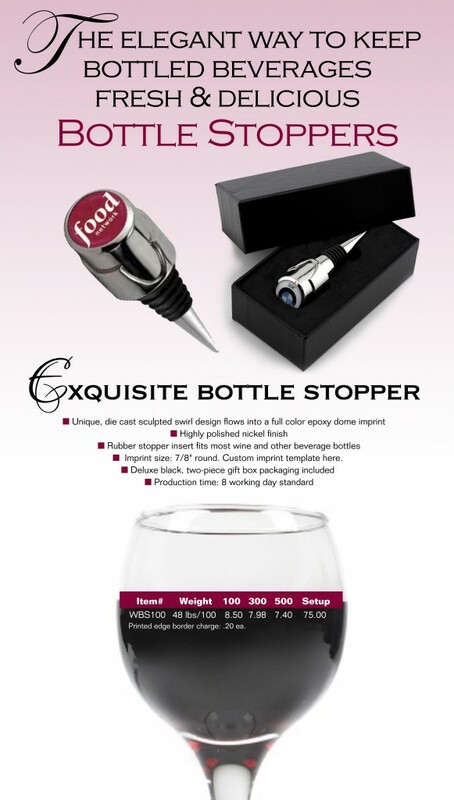 Purpose: The bottle stopper makes for a fun promotional gift that anyone can use. 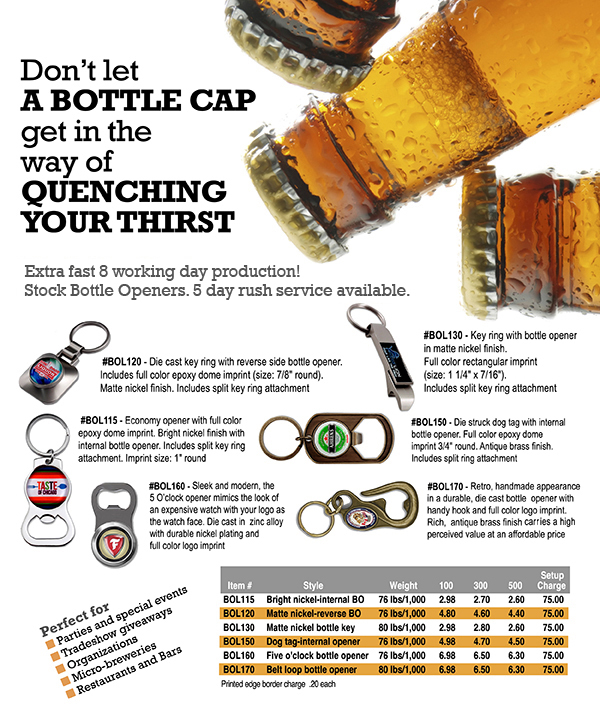 Place the stopper in any open beverage bottle to preserve freshness and promote your company. Strategy: As a part of their 50th anniversary celebration, a local Oregon winery decided to host a wine tasting event. They wanted their customers to have something special as reminder of their brand long after the wine was gone. To accomplish this, every person who bought a bottle of wine received a free bottle stopper. Results: The celebration went off without a hitch with nearly 800 people in attendance. 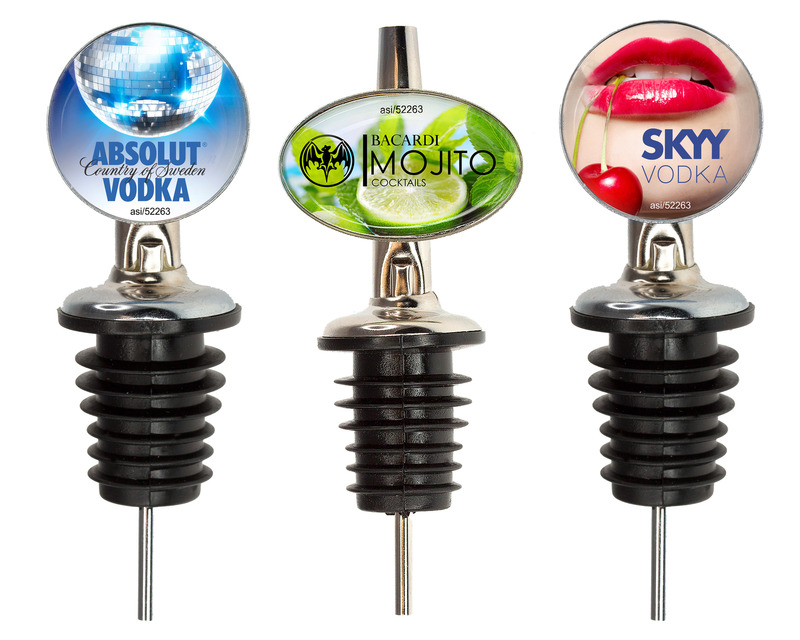 Customers enjoyed the bottle stopper and were reminded of the winery when they used it. This was seen in an 8% increase in sales over the next few months as well as an expansion in social media interest. Say it with Spectraflex®, soft, non-toxic PVC Flexible. Colorful. Durable. 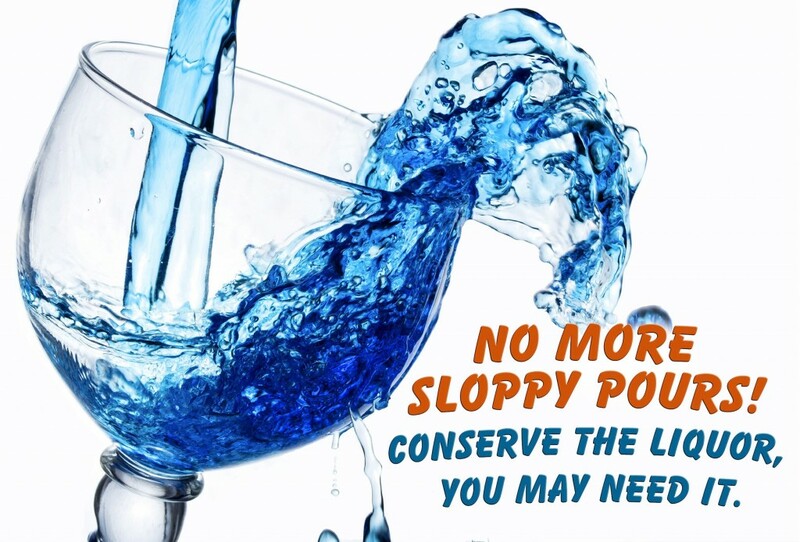 Purposes: Liquid Pourers prevent over-pouring spills with their streamlined tapered chrome spout. They offer large branding areas in the shape of a circle or an oval and come in an elegant decorative box—making them fun and stylish. They’ve been used for grand-openings of restaurants, hotels, and bars, in cooking videos and television shows, and to distribute at any spirits events. Objective: At one chain restaurant’s grand location opening, owners were looking for a way to brand their new signature cocktail list to patrons dining in the bar area. The signature cocktails were expected to raise sales by an 45%. In addition, on the menu many of the dinners were paired with recommended signature cocktails that were named to compliment the restaurant bar’s theme. Strategy: The restaurant placed Liquid Pourers on every liquor bottle on the signature cocktail’s respective main spirit ingredient. One of the most profitable parts of any eatery is drinks, both alcoholic and non-alcoholic, with profit percentages frequently as high as a 700% markup. Drink sales are known to be critical for a restaurant’s success, and many establishments will not open without a liquor license. The opening night bar revenues were up 200%.